Pet will be healthy and happy only if you take care of it. 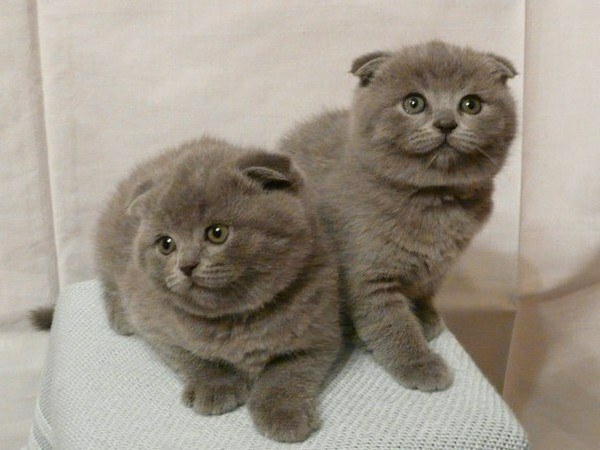 So before you get a Scottish fold kitten, you need to familiarize yourself with the basic recommendations for its care. If you have a Scottish fold kitten, you should ensure that your pet was comfortable. But each breed is special and requires quality care. The most necessary things for a mustached baby will be bowl for food and water, scratching post, toilet, the house or the bed. And of course not be able to do without toys. As for the toilet, the first wash tray is not recommended because kittens are usually guided by the smell. If the Scottish suddenly kitty became confused and the first time went not into the tray, you need to wet a piece of toilet paper and place it in the tray. After that you should put the kitten in the tray and make a digging motion with his paws. Do not wear kitten from room to room, until he can learn to use it. Hygiene kittens of this breed is to clean their ears, bathe and trim the nails. These procedures are usually conducted as needed. You should purchase a special brush with natural bristles, which is useful for combing wool. Also buy a comb with metal teeth for deeper brushing. As feed for your small pet, you can use pre-frozen chicken, Turkey or veal. Meat should be boiled and fed in the form of meat. Fish is recommended to give not more than twice a month. by the way, it should be well cleaned from the bones. Also in the diet can safely include porridge with a boiled or raw egg yolk. They are very useful for Scottish kittens. But raw freshwater fish and cream feeding them is strictly prohibited. Milk in its pure form can only be given up to three months. Then it should be replaced with sour cream, natural yoghurt or kefir. In addition, Scottish fold kitten should always have access to fresh drinking water. It is recommended to be changed as often as possible. What vaccinations should be done? Approximately ten days before the first vaccination is required to spend and deworming to completely rid a kitten of fleas. At the time of vaccination, the kitten needs to be healthy. The first vaccination should be done in two and a half months. It will help to protect the kitten from caliciviruses infection and viral rhinotracheitis. In this case, can be used vaccine NobivacTricat. Three weeks after the first vaccination is recommended, vaccination with the use of the same drug. Then the kitten will be immune. When the kitten reaches six months of age, it will be possible to be vaccinated against rabies. Well, before exporting pet to nature be sure to do vaccination against zoster.